She’s danced her way into all of our hearts – she’s the brilliant Clara Lukasiak! It’s clear to see that Clara Lukasiak has already accomplished well beyond her years. She’s a spectacular dancer, who we have even seen on the hit show, Dance Moms, along with her sister, Chloe Lukasiak and mom, Christi Lukasiak. Clara was bitten by the dancing bug at an early age and ever since she was two-years-old, Clara already started her dance training. Clara Lukasiak never fails to blow us all away every time we see her dance. She dances so gracefully, so beautifully, and she truly mesmerizes us all with her impeccable dance skills. In addition to being a fabulous dancer, Clara Lukasiak also has a passion for acting and modeling. She recently guest-starred in an episode of Nickelodeon’s hit show, Nicky, Ricky, Dicky & Dawn and we had such a magnificent time watching her showcase her excellent, acting gift in the show. Clara also loves to model and she even walked the runway for American Girl. To add onto her impressive resume, Clara enjoys working on her YouTube channel, Clara’s World, which has over 200,000 subscribers and it takes viewers into Clara’s exciting life even more. Clara Lukasiak is truly remarkable and we all absolutely adore her. 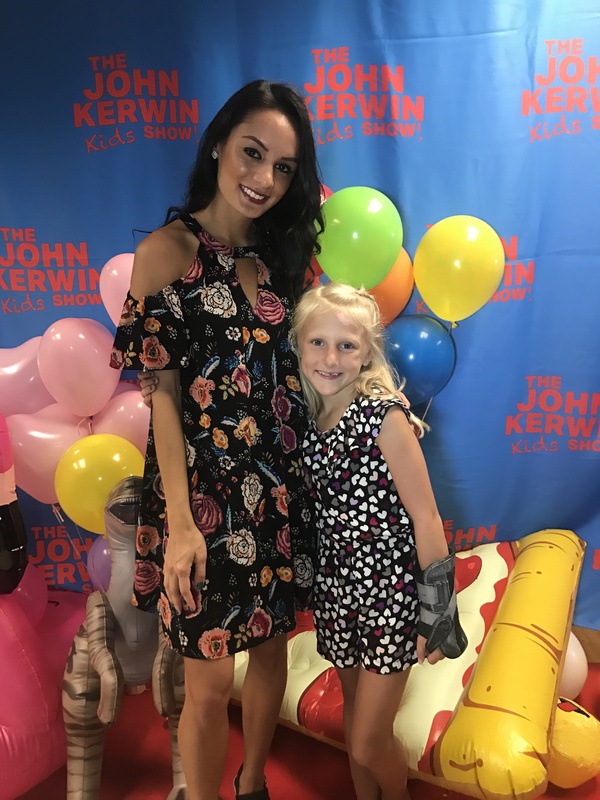 I, Alexisjoyvipaccess had an awesome time covering the John Kerwin Kids’ Show again and had a terrific time interviewing the wonderful Clara Lukasiak at the show. Clara Lukasiak dished exclusively to Alexisjoyvipaccess all about what it was like for her to have appeared on the John Kerwin Kids’ Show, what it was like working on Nicky, Ricky, Dicky & Dawn, which show she would like to guest-star on and so much more only in our VIPAccessEXCLUSIVE interview. Clara Lukasiak even revealed what her favorite YouTube video is that she has brought out to all of her fans – hear what she had to say in our VIPAccessEXCLUSIVE interview below. Thanks for the fun interview, Clara! Check out my VIPAccessEXCLUSIVE interview with the spectacular Clara Lukasiak at the John Kerwin Kids’ Show below! Previous VIPAccessEXCLUSIVE: The Incredibly Talented Musician Joe Dias Interview With Alexisjoyvipaccess!